Equip yourself to make wise and informed decisions that will shape the nature of Gospel work in your parish. 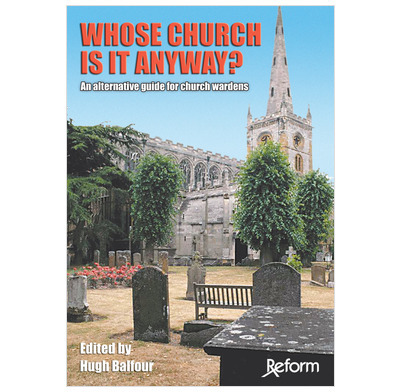 "Churchwardens, PCC's and lay leadership will be both fearful and heartened as they read this book. Fearful, because their spiritual and legal rights can be taken from them with so little apparent effort or need to explain. Heartened, because with the information in Whose Church Is It Anyway?, they can confidently take on a Church bureaucracy that is, alas, sometimes ready to intimidate them to achieve its own ends." Many churches have discovered to their cost that the new minister they have appointed falls far short of what they expected. The work of the gospel stalls and people start to leave... What has gone wrong? When the time comes to appoint a new minister, the pitfalls and dangers are many for the lay church leaders involved in the process. The legal status of churches and their ministers is difficult to understand, and wrapped up in confusing language. There may be hidden agendas, scarcely discernible to the untrained eye, brought into play by patrons, arch deacons and bishops. This book has been written from the conviction that lay church leaders can and should take greater responsibility for the continuity of the work of their church. It is designed to equip you to make wise and informed decisions that will shape the nature of Gospel work in your parish for the future. Helpful chapters on the law, interviewing, the pastoral care of your minister, and case histories on how to fight your corner against the system make this a book for churchwardens, PCC members and concerned parishioners to read, mark, learn and inwardly digest. WHAT KIND OF MINISTER DOES OUR CHURCH NEED? Should be read by all churchwardens BEFORE starting discussions with the Bishop. A great encouragement for wardens to stand up for their legal rights. I particularly liked the section on the care of the incumbent. An excellent buy.